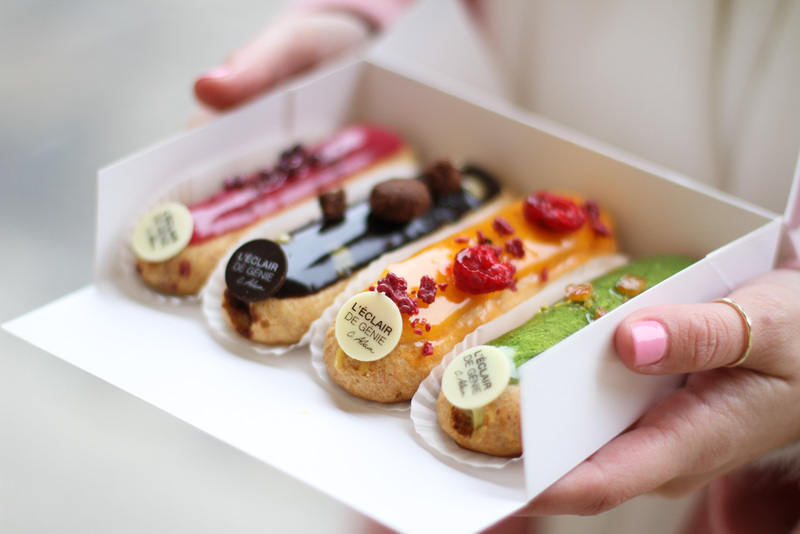 Deciding which desserts to try when you’re in Paris is no easy feat. 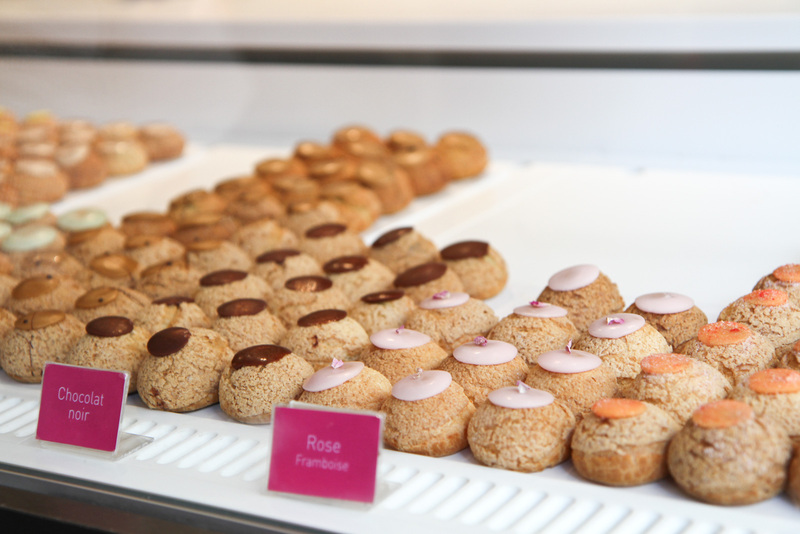 With pastry shops on every street corner, there are literally pastries all around you. To make your life a bit easier I’ve list 16 desserts which you simply must try when you find yourself in this sugar-laden city. Often referred to as a glorified twix bar. This one is not for the faint hearted. If you like things sweet, rich and oozing with caramel, then this one is for you. 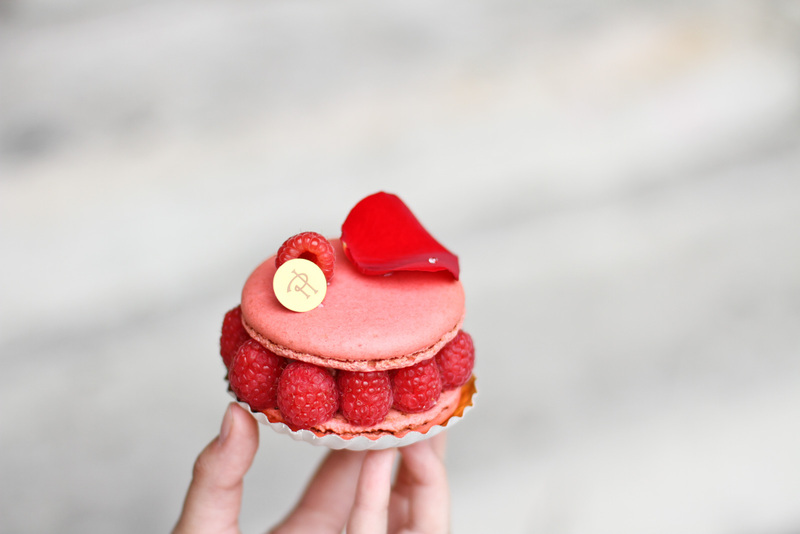 Pierre Hermé invented the ingenious Ispahan flavor, a combination of rose, raspberry and litchi when he was a chef at Ladurée. Now you'll find different versions of it all over the city, an ode to its greatness. 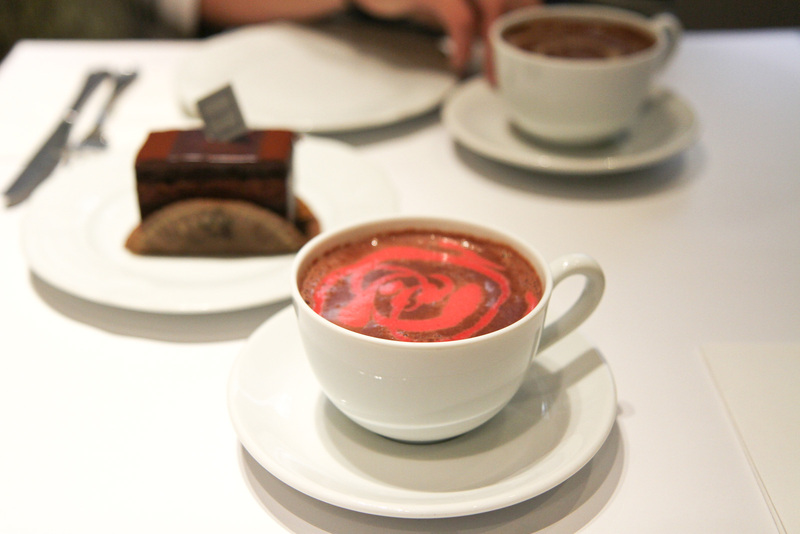 The best one though can be found in Pierre Hermé’s pastry shop. 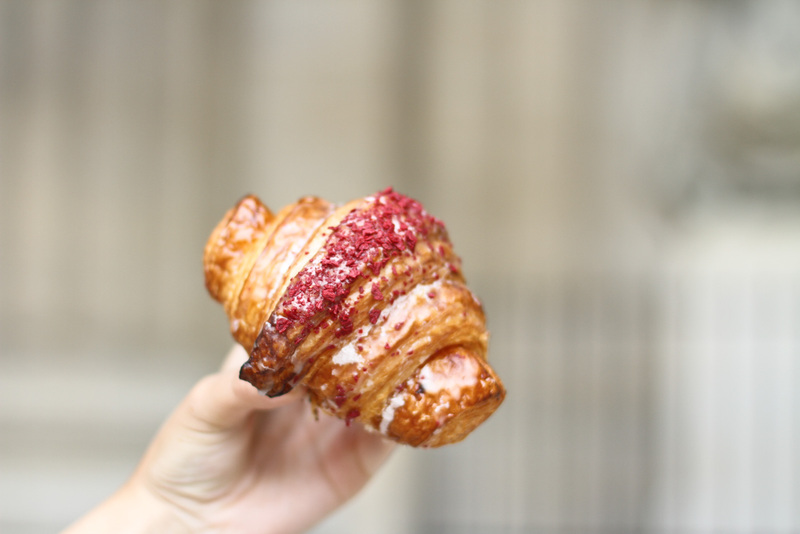 There is no croissant in Paris better than this one. The buttery glazed exterior is pastry perfection, but just wait until you bite into it and uncover the Madagascan vanilla filling. 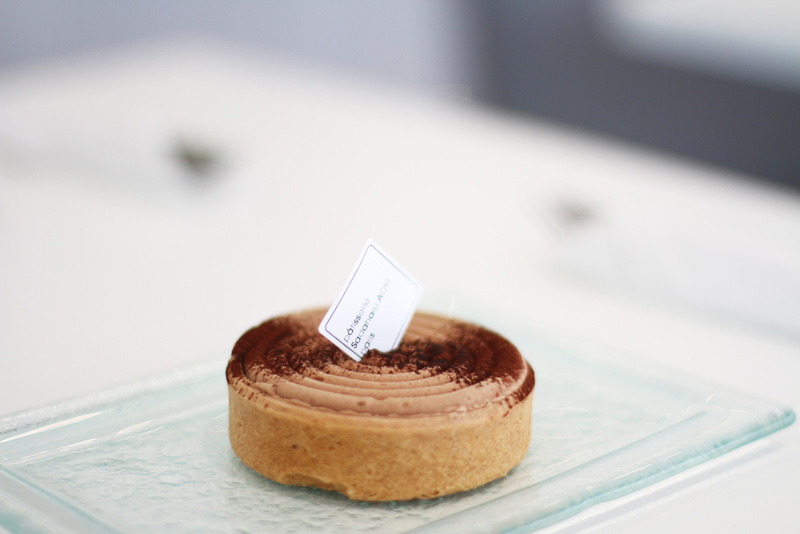 The concept behind the Napoleon is simple: whipped cream and pastry but this patisserie is so much more than that. 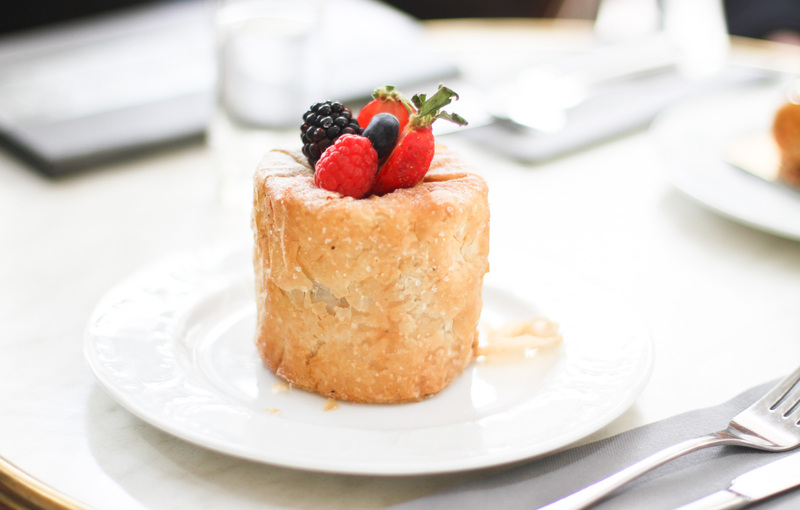 Executed to perfection; the chantilly cream is flavoured with Bourbon vanilla and the pastry shell is caramalised with subtle hints of orange. 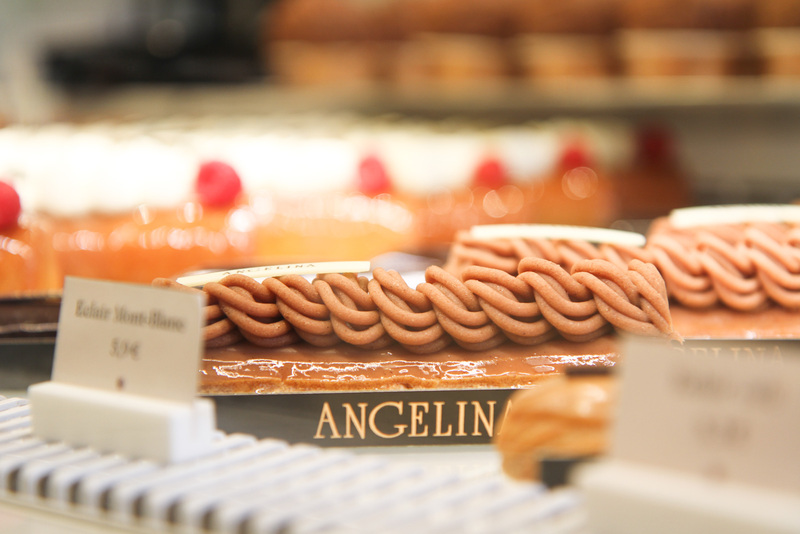 Whilst you’ll find éclairs all over the city, none will compare to the ones found at l’éclair de genie. Christophe Adams has reinvented the éclair and puts a modern twist on this traditional pastry with exciting flavour combinations such as vanilla and pecan nut or my absolute favourite passion fruit and raspberry. These little cream puffs are as tasty as they are adorable. They are the perfect little pick-me-up and something a little different from the over-exposed macaron. It’s debatable whether the best come from Odette or Popelini so you’ll just have to try them both and decide for yourself. 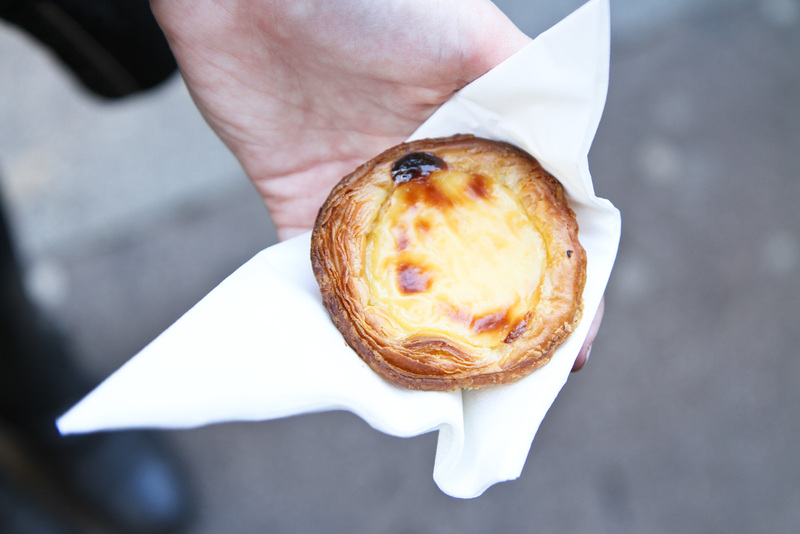 Rarely do you see Pastèis de Nata served outside of Portugal so when you do, grab them whilst you can. These traditional Portuguese tartlets are incredibly more-ish especially when sprinkled generously with cinnamon. Hands down the best ice cream in Paris. Italy might have gelato but France has Berthillon. The quality is superb and the flavours to choose from are endless. Come to one of the many stands on Ile St Louis where the brand was born. Paris is not short of chocolatiers and there are some incredibly luxurious ones to be found dotted around the city. Some of the most exquisite chocolates come from the connoisseur Jacques Genin who creates a mix of classic and innovative fillings such as praline, chestnut honey, grapefruit and basil. Chestnut paste is unique to France, so this pastry might introduce something new to your taste buds. Chantilly creams billows out through the carefully iced chestnut cream, there’s a reason that this pastry has become famous the world over. 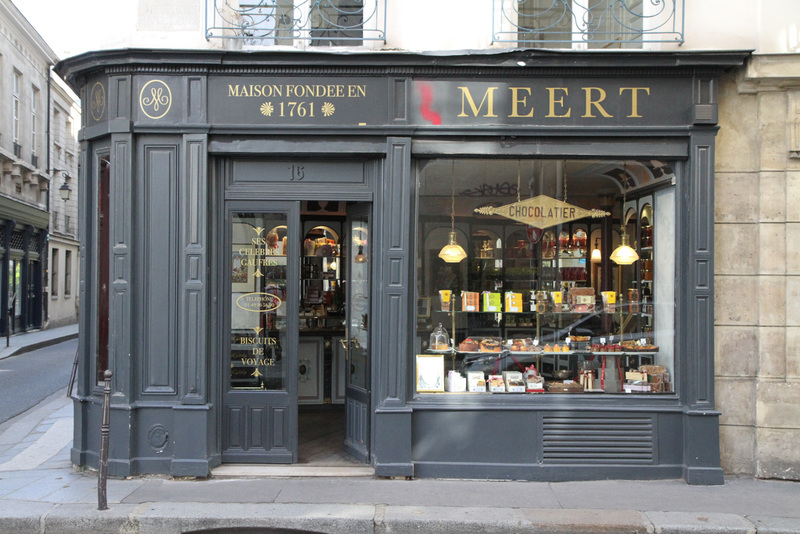 Originating from Lille, Meert is the creator of the French paper-thin waffle. 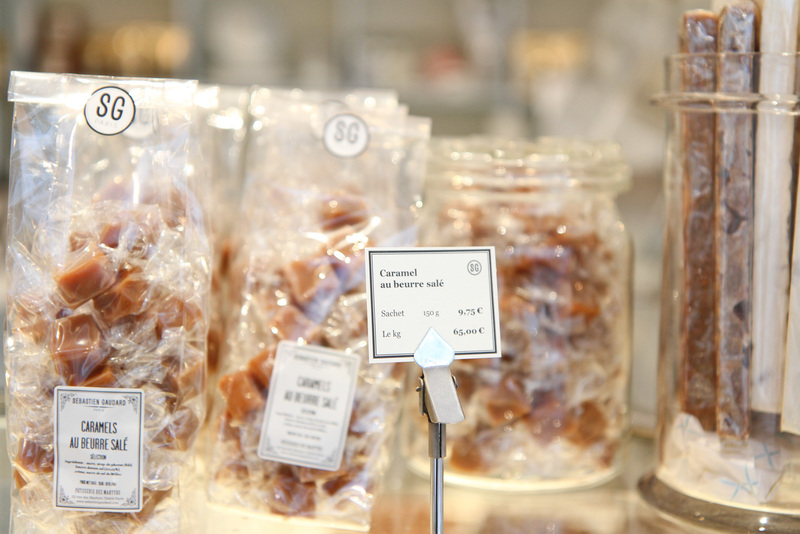 Entering the sweet shop is like stepping back in time into a traditional French sweet shop with glass jars of marshmallows, boxes of chocolates dressed in ribbon and the famed vanilla waffles in the cabinet. 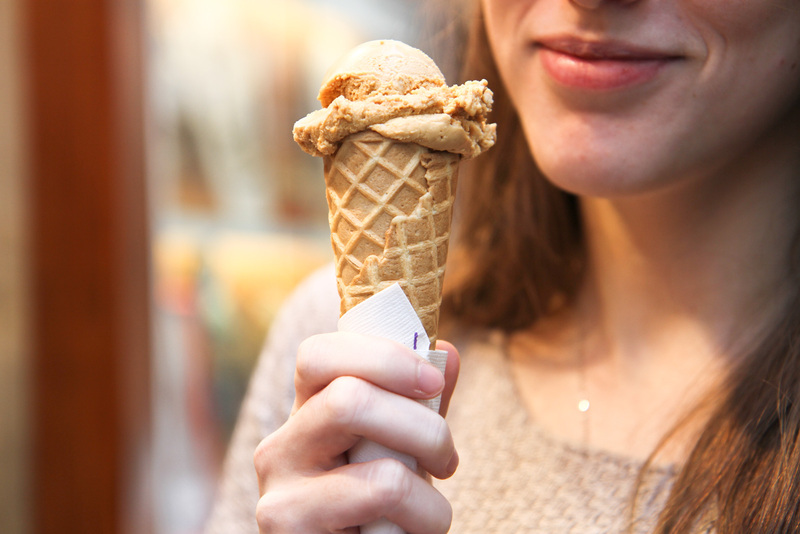 Whoever invented salted caramel or caramel au beurre salé as it’s called in France, is a genius. Quite surprisingly the crystals of rock salt perfectly compliment the sweetness of the caramel. Try it and thank me later. Some of the best come from Sébastien Gaudard where they are wrapped in cellophane and then packaged in their pastel blue wrapping. 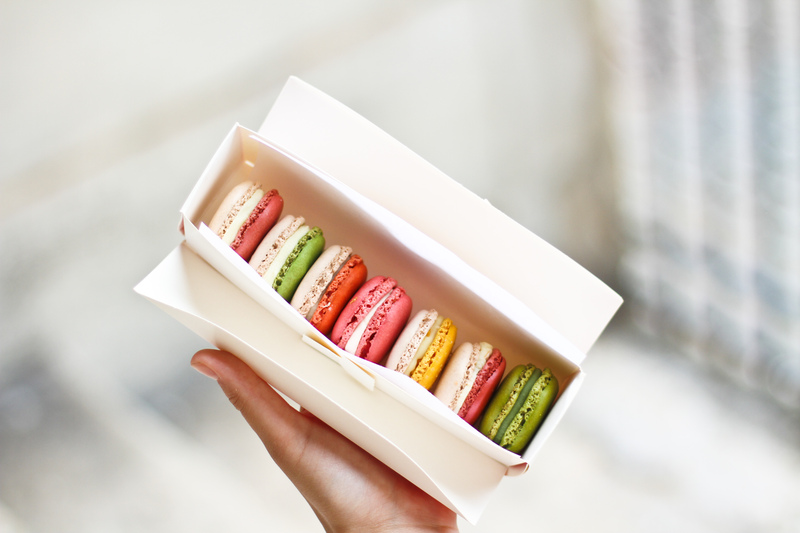 The ubiquitous macaron has become an icon of the French pastry scene. It’s simply a matter of opinion deciding where the best ones are found but my choice would always be Café Pouchkine. The caramel flavour is so luxurious and the fruit berry so succulent that it’s an easy pick for me. If there is one man who has mastered the art of chocolate in Paris, it is Jean Paul Hévin. 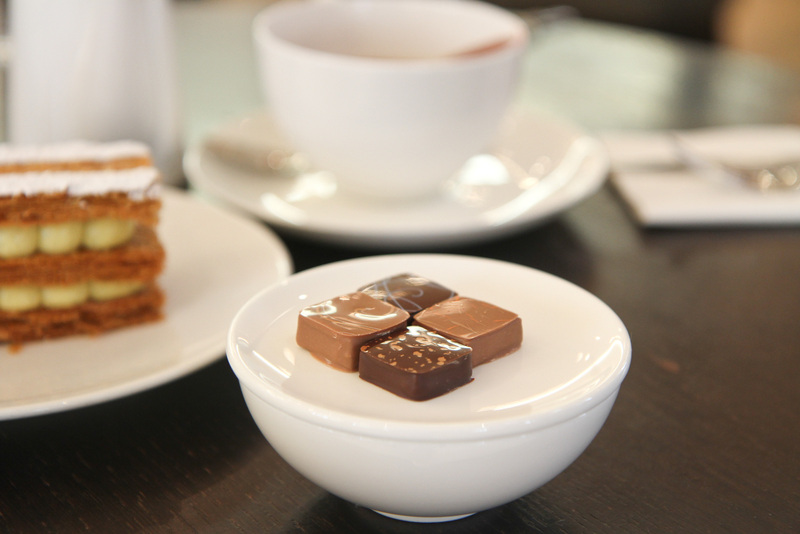 The hot chocolate is exquisite and comes in a variety of different flavours to suit everyone’s desires including spicy ginger and raspberry. This pastry shop really is the chocoholics dream. 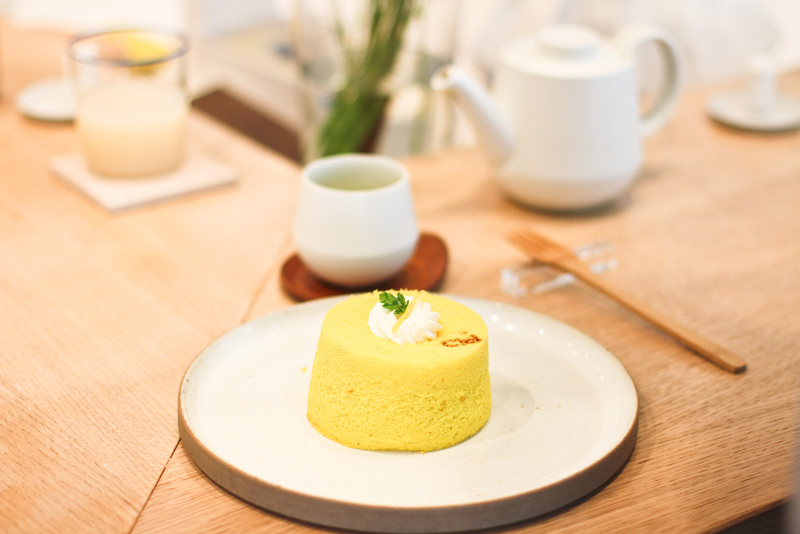 These delightful little cakes are as light as a feather and welcome relief after some of the gluttonous pastries you might have been consuming in this sugar-laden city. 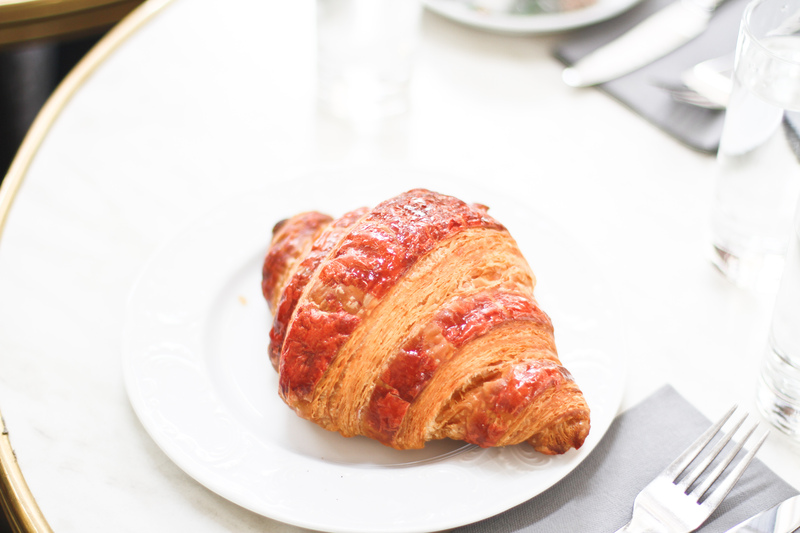 I know I have mentioned the Ispahan patisserie above but the croissant deserves a place on this list as well. The perfect flaky pastry is filled with a rose, raspberry and litchi paste and sprinkled with candied rose petals. Once you’ve tired it, you won’t be able to look at the standard croissant in the same way ever again; in fact all other viennoiseries will pale in comparison.